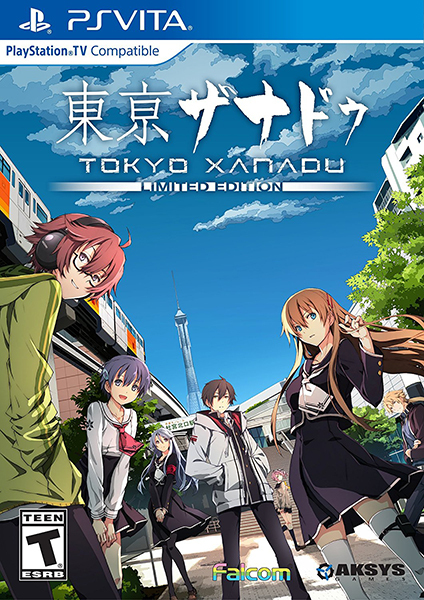 Aksys Games has released the first version of Nihon Falcom’s Tokyo Xanadu for the PlayStation Vita. I barely gotten through Chapter 3 in my Japanese copy so I’m very excited for the localization of this. Though to be honest, I had no idea what I was doing in the game regardless. The Limited Edition was a welcomed bonus! It’s time for another unboxing! 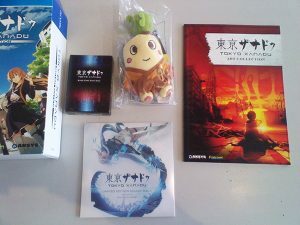 While I never got the Japanese Limited Edition, I grabbed my game to see how they differ (if at all). 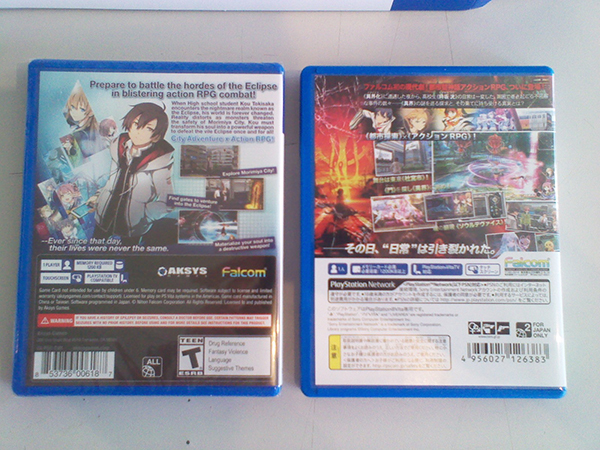 The Collector’s Box is just like the back and front of the Vita game case. 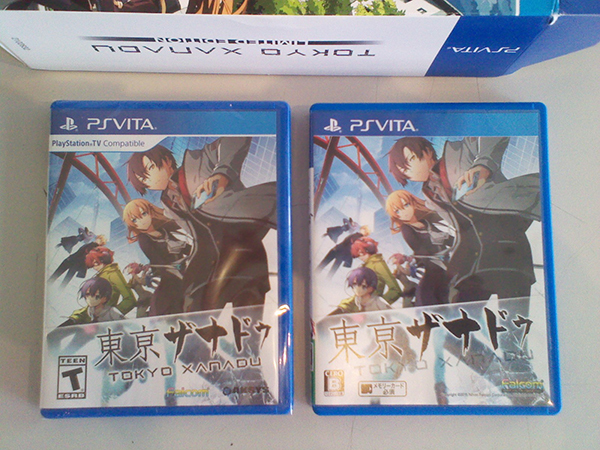 The front cover ended up being the same (I was hoping for the art on the collector’s box honestly!) as the Japanese one. 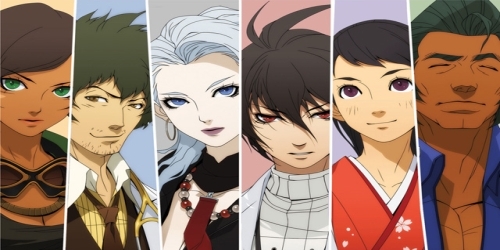 However on the back we got some new art of the main cast. 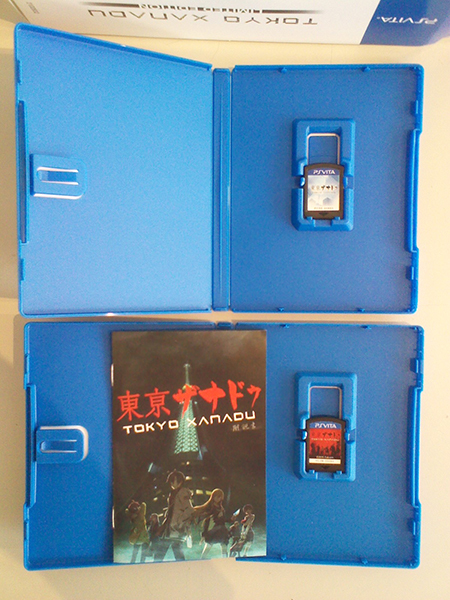 The cases opened with the games inside. I bet you can already tell which one is the US one. Do you remember physical manuals? When booklets were once a thing. I do. Good times. 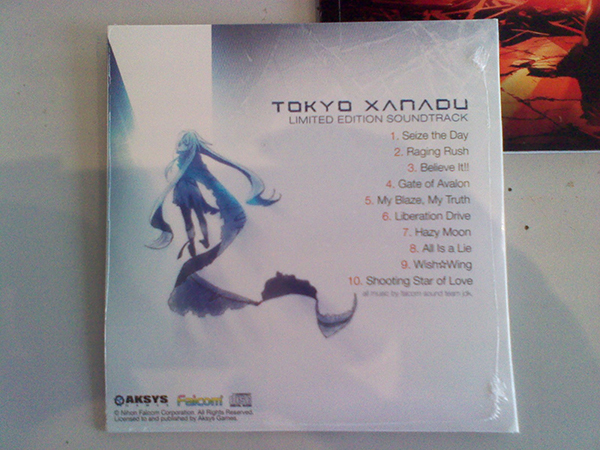 Starting us off is the Limited Edition Soundtrack. 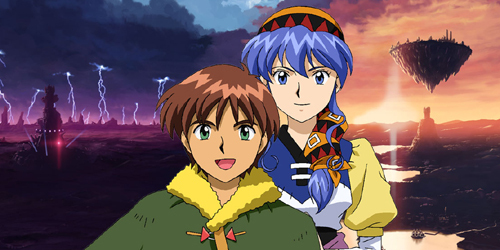 The CD contains ten songs, including the game’s opening theme, various insert songs and background music. This CD cover artwork is the same as the Japanese Limited Edition CD but the US tracklist is different and significantly longer. The US CD has the full version of all the vocal tracks featured in this game including the opening song (“Seize the day”) while the Japanese CD only has the game size length and short versions of the vocal songs. This may be because the several of the songs have their own released singles or are featured on related CDs in Japan. The total playing time for the entire disc is thirty-three minutes. 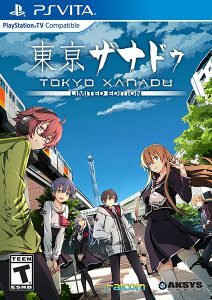 Next we have the Tokyo Xanadu Art Collection, a soft cover book with sixty full colored pages. 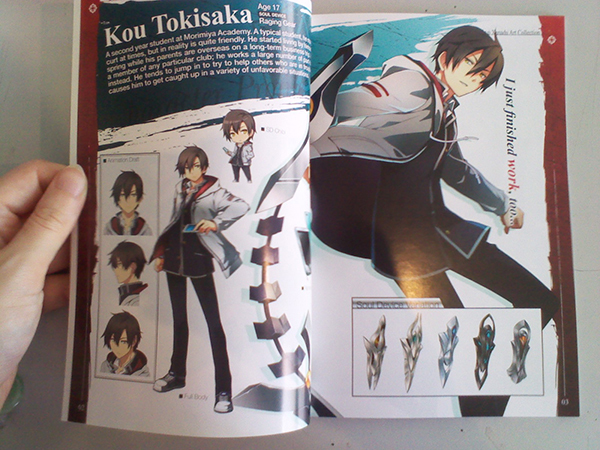 There are pages devoted to the main cast with various character art and in-game designs for their individual weapons and Xiphones. The book also lists short profiles of all the supporting cast (including questionable support because I don’t know who they are) and NPCs. 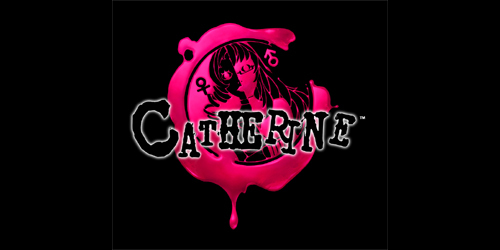 Near the end are images of emblem designs, world visuals, promotional art, and stills from the opening animation sequence. 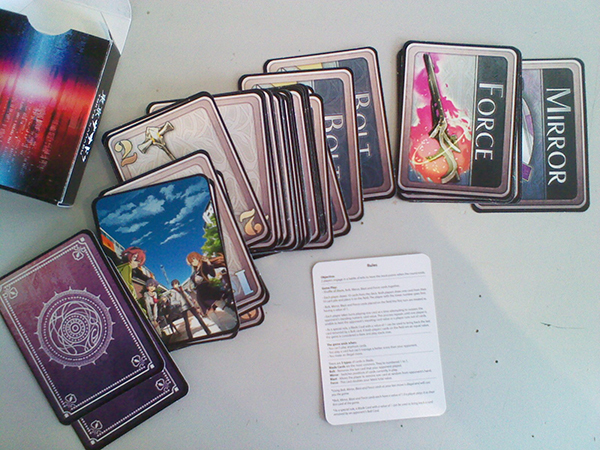 Third is a Blade Card Game Deck, a mini game in this game brought into real life (what?). 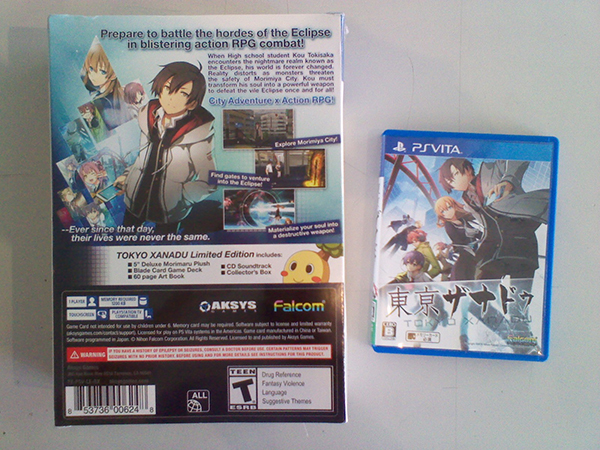 Blade is one of the many mini games in Tokyo Xanadu which I learned of first in Trails of Cold Steel. 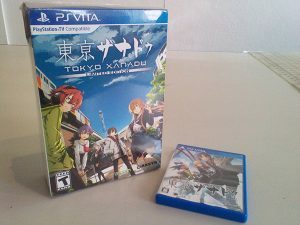 Back when I first played Tokyo Xanadu, I didn’t even try this particular mini game because I… couldn’t read the instructions. Also I was too busy with the Whack-a-Mishy game with Magical Alisa that I never checked the section in the game’s arcade. This deck features the art of the weapons throughout the deck. Sidenote, this is Blade II! Because of the extra card types that Crow added in Trails of Cold Steel II when he upgraded the deck. It doesn’t matter, I’ll still lose against the computer. And finally… this. This. 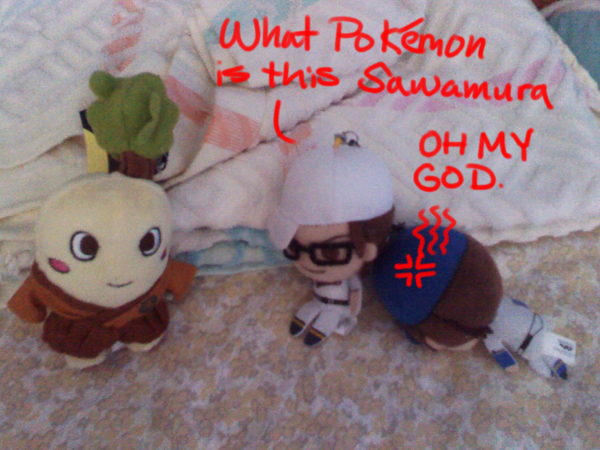 What… what is this? Okay no really, this is the game’s mascot, Morimaru. I haven’t really met it yet so I can’t say what role it plays. This five inched plush is included only with the Vita Limited Edition. He’s… squishy. I guess. The eX+ PlayStation 4 Limited Edition, which will be released later this year, is identical to this edition but will feature a statue of a character who I’m pretty sure is Shiro from Assassination Classroom. Even his name is White Shroud, wow are you kidding me, what happened. 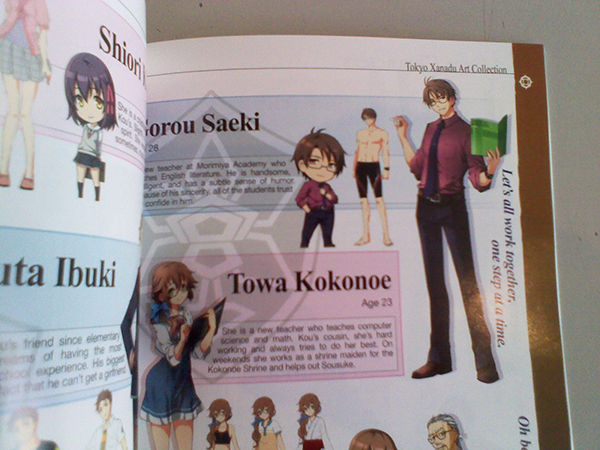 Look, if Trails of Cold Steel‘s Towa is in this (under a different name and older), I believe it. Anyways, that’s what this Limited Edition has so offer! I’m weak for artbooks and collectibles. 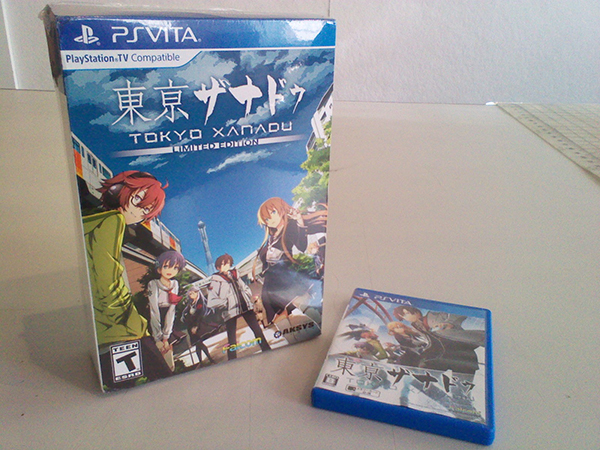 Big thanks for Aksys Games releasing this for the US!